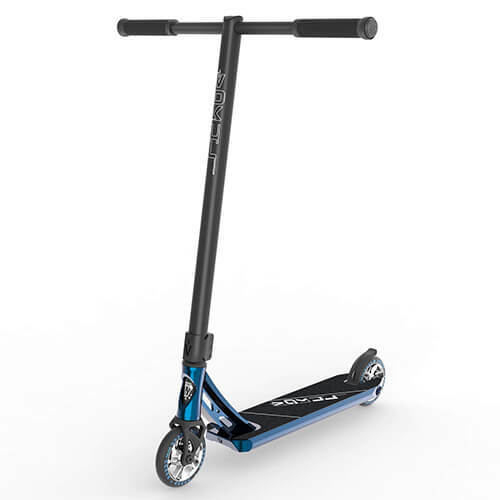 Seeing as there are hundreds of different makes and models of pro scooters (also called trick scooters or stunt scooters) on the market, with a catalog of thousands of parts and pieces it can definitely be tricky finding the best pro scooters. That’s where the team at AltRiders come in. 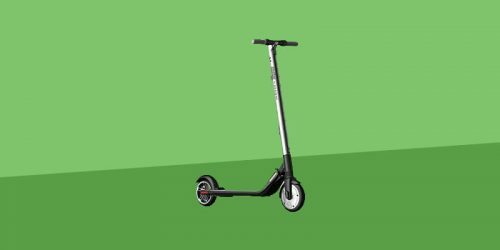 We’ve gathered a list of the 11 best pro scooters that we could find to make your choice as easy as possible. All these scooters are complete, so there is no need to have to research customising them or look at any pro scooter parts. They are all (almost) ready to go, straight out of the box. If you need to know a bit more about pro scooters before we get started, head over to our recent post that describes everything you need to know about pro scooters. The first trick scooter is the Grit Fluxx. Grit Scooters is at the forefront of the extreme scooter riding scene in Australia, and is one of the biggest pro scooter brands in the world. 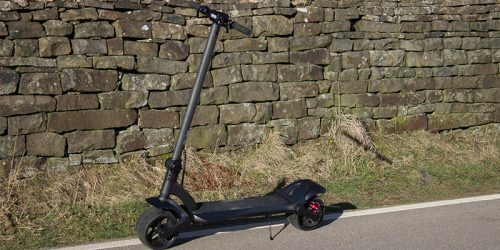 The Fluxx is a smaller scooter that is aimed at intermediate riders and is suitable for heights of 4 ft – 5.5 ft. 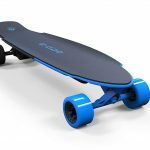 It uses a military grade, all aluminum alloy deck that measures a width of 4 inches. It has a hi-tensile threaded steel fork that adds strength, without sacrificing weight and a set of very strong 100mm aluminum wheels. Overall, the Grit Fluxx is a fantastic scooter for those of you looking to take your tricks to the next level. This is a very well made scooter that can really take a beating. It’ll last a long time due to the quality design and build even if you’re landing huge jumps daily. The Fluxx comes in at a reasonable price considering the quality you’re getting. The only downside are the grips which we feel could be better, but are easily changed. 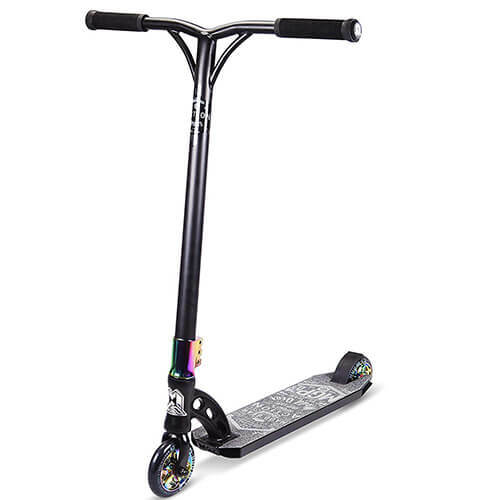 Fuzion is one of our favorite brands when it comes to pro scooters and their Z300 model is one of their best sellers. 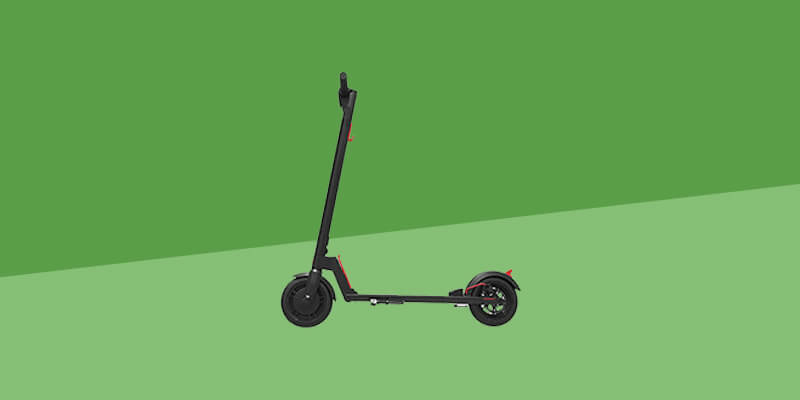 The Z300 is an entry level to intermediate scooter for riders who need a durable and reliable scooter that just won’t quit. It uses a range of very high quality materials. For example, a tough and light 6061 T6 Aluminum deck that has been reinforced specially for big impacts. It has a 3 degree top concave to help keep your feet in place and flat rails on the bottom that are ideal for grinding. It also has some quality wheels that use the same 6061 T6 aluminum as the deck. These 100mm wheels provide strength and stability to a great all round scooter. Overall, the Fuzion Z300 mixes high quality, durable build with great performance. 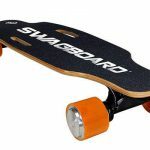 It’s aimed at younger, smaller riders and only weighs 9 lbs so is easy enough to throw around to really learn and practice tricks. Fuzion also tend to have one of the best customer services we’ve heard of. The Fuzion Z350 is the upgrade to the Z300. We thought it was important to include both as the Z350 is aimed at intermediate to pro riders and can accommodate taller riders and adults much better than the Z300 as it has a 25 inch tall set of handlebars. The good points about the Z300 are present on the Z350 as well. The entire scooter has a brilliantly designed feel to it. It uses quality components that are built to last and the build quality is one of the best around. It has a very similar aluminum deck and aluminum 120mm wheels. It also features a T shaped handlebar with oversized hex grips to ensure that you have the best grip possible. Overall, the Z350 is much like the Z300 just a bit bigger. It’s build quality is brilliant and will last you a while, even if you’re really putting it through its paces with big jumps and tricks. It also performs just as well as the Z300 and we think the bigger wheels on this model actually improve the performance. This is one of the best trick scooters money can buy. 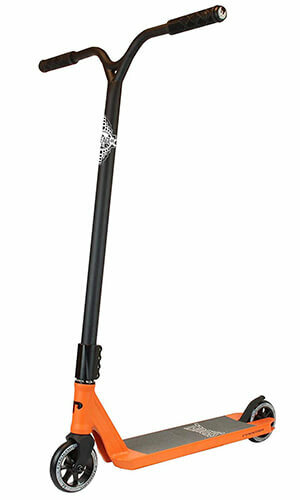 One of the standout features of the Phoenix Sequel pro scooter are the 27 high handlebars. This means that riders from 5ft all the way up to 6 ft 5 inches can ride this scooter comfortably. It has been designed with more experienced riders in mind and will make a perfect scooter for experts looking for a quality complete solution. It is built specifically for tricks and despite being a fairly big scooter still only weighs 9 lbs. All the components used to build the Phoenix Sequel are of the highest quality, from the deck that has square dropouts to the 120mm, 5 spoke wheels. The entire scooter is made well, performs fantastically and will definitely survive a few knocks and falls. Overall, the Phoenix Sequel is a fantastic option for anyone looking for a complete stunt scooter that is aimed at more experienced riders. But if you’re a beginner, don’t let that put you off. You might be paying a little extra but the quality of performance of the ride will see you all the way through your progression from beginner to pro. The Lucky Covenant complete pro scooter is a lightweight, versatile scooter for riders striving to excel in all areas of riding. It’s built to withstand some serious abuse, feeling strong and sturdy. The Covenant features super fast and smooth 110mm Toaster wheels the newly designed Silo bars, and a 120mm compatible Indy fork made from aircraft grade aluminum. 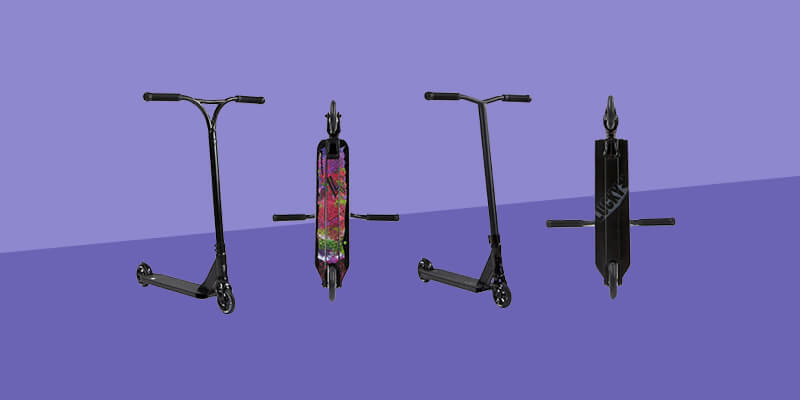 The Lucky Covenant also comes in a range of styles that we think are some of the best looking trick scooters you can buy. The different styles behind the Covenant’s deck styles are created by Shogo Ota, who has previously worked with companies such as Red Bull and Starbucks. 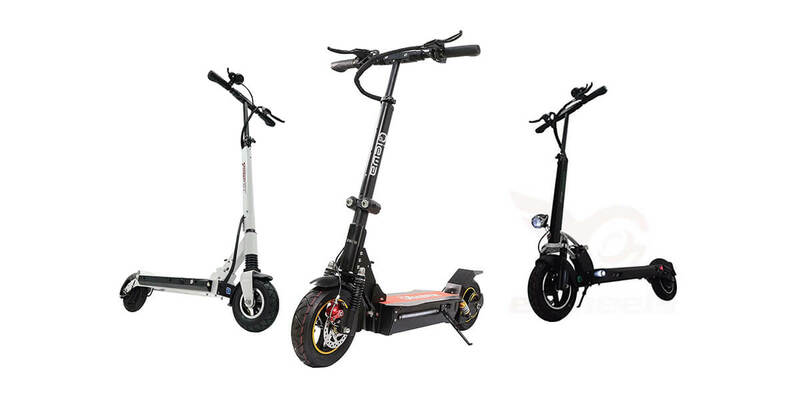 There are 4 different versions for the latest style of scooter, all with a unique and vibrant look. We just wish scooter had less chrome on the red version. Overall, the Lucky Covenant is a great scooter that riders of any experience will be able to enjoy. It’s built well and can take a beating whilst also having some of the best looking decks available. We’d highly recommend this to anyone look for one of the best stunt scooters on the market today. 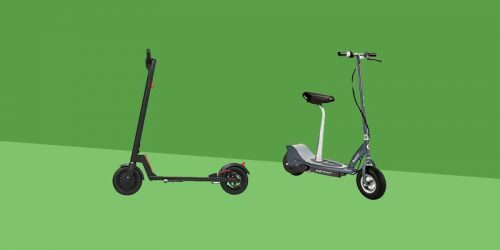 We’ve recently reviewed the 5 best Lucky Pro Scooters on the market to give you a good comparison between the scooters of one of our favorite brands. On the other end of the scale from the Lucky Covenant is the Lucky Crew. This is an entry level pro scooter that is ideal for beginners and younger children. It is perfect for children up to and around 4.5ft in height and excels at helping to develop basic riding skills, jumps and simple tricks. The Lucky Crew uses many of the same parts and materials as the Lucky Covenant, having the same aircraft grade aluminum as its main material. But the Crew is less than half the price of the Covenant, regularly coming in below $100. It also comes in a range of colors and styles, nothing quite like the premium artwork of the Covenant but having a choice is nice. Overall, this is a great beginners pro scooter. 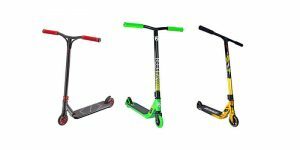 It would be perfect for younger children who are just starting out and want a quality and durable scooter to last them for a few years to come. The lightweight makes it very easy to jump with and do basic tricks so learning should be about as easy as it comes with the Lucky Crew. The Kota scooter brand was founded by Dakota “Kota” Schuetz, a professional trick scooter rider and an officially recognized icon of the freestyle scooter action sport industry. Kota is the first competitor to win all major international competitions and the first scooter rider to win the World Championship. So with a big name like Kota backing the company you can expect it to be very good. And it is! The Kota Ninja is a pro scooter aimed at beginners and younger children. It weighs a super lightweight 7.7 lbs as it is made from almost completely aluminum with a little steel. It has 21.5 inch high handlebars that are 20 inches wide, the wheels are 100mm metal alloy with 7 spokes. The grips are a signature KOTA ODI and the brakes are a Flat 2 Bolt Brake. All this adds up to give one of the very best pro scooters for beginners. This is one of the highest rated pro scooters on Amazon and is an ideal beginners trick scooter. The build quality, performance and even the vibrant styling are perfect for newcomers that are looking for a good introduction to the sport. The District C253 is a perfect option for intermediate riders that are looking to improve their skills. It has a handlebar height of 24.2 inches so will easily accommodate smaller adults and taller children. 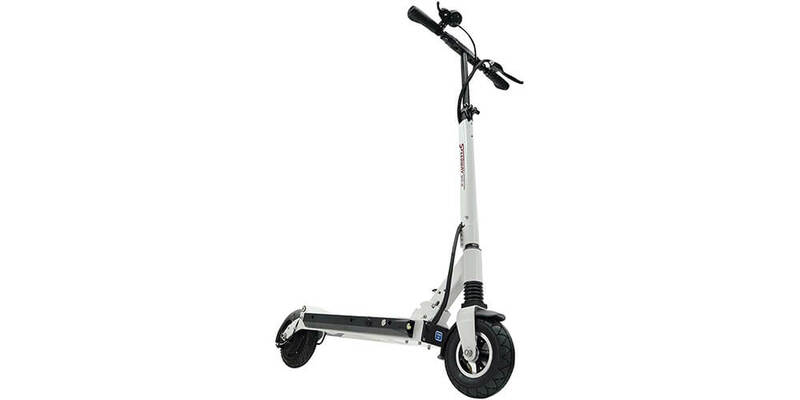 It’s made from high quality European certified aluminum that gives the entire scooter a weight of only 7 lbs. 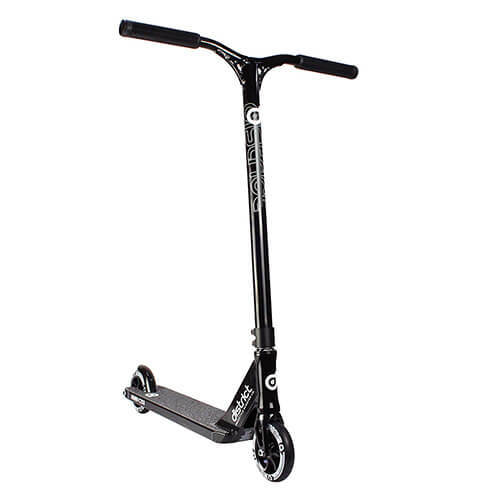 This is one of the lowest weights we’ve seen for any pro scooter and will certainly help you pull off some of the more challenging stunts. The wheels are 110mm 7 spoked metal core wheels that are made by Eagle Supply. It has durable TRP rubber grips and a District Steel Flax brake. So not only is this scooter incredibly lightweight, but the parts and components that make it are of a high quality. Overall, the District C235 is a great pro scooter if you’re taking the sport a bit more seriously. It comes at a fairly high price tag but for that you’re getting fantastic build quality, a super lightweight and responsive design and a range of great parts. You couldn’t really ask for more. 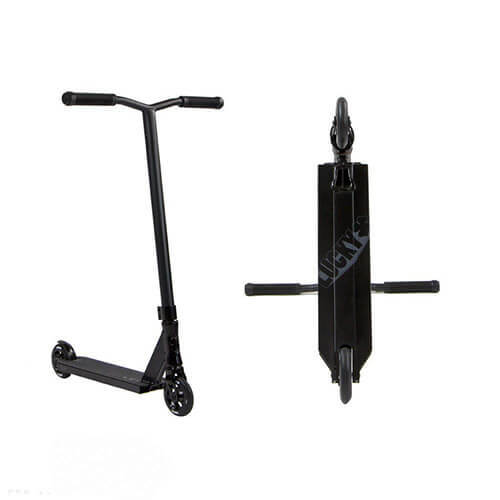 The Vokul T1 is one of the best rated pro scooters amongst Vokul’s very impressive lineup of products. This scooter is aimed at almost everyone. It is said to be good for riders of 7 years and up, but has a handlebar height of 24.2 inches so even much taller teenagers could ride this with no discomfort. The T1 uses a range of top components including aluminum handlebars and deck and 120mm metal wheels for a smooth and reliable ride. It weighs a total of 8.8 lbs and can hold a maximum rider weight of over 300 lbs. The T1 is also one of the best looking scooters in my opinion, it has a lovely matte finish that I think works so much better than the garish chrome finish that some other scooters have. It also comes in a range of colors and styles so you can choose the exact one for your wants. Overall, this is another fantastic scooter. It’s well made, looks great and performs well. 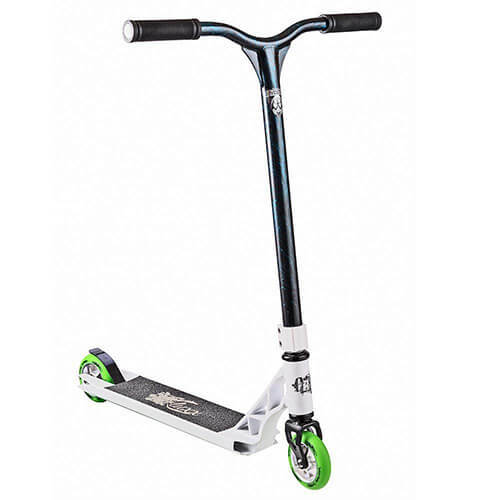 The 120mm wheels really allow you to get up to some fairly high speeds and the relatively lightweight frame will give you no problems when trying out different stunts and jumps. 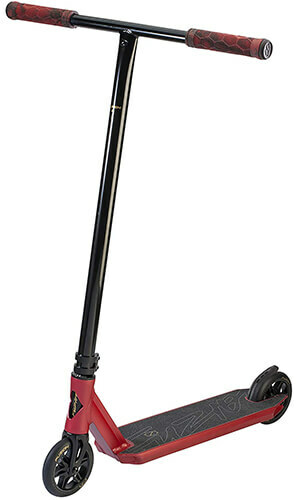 The Dominator Airborne Pro Scooter is a trick scooter that is aimed directly at the experts out there with a recommended height of 5ft to 6.5ft. 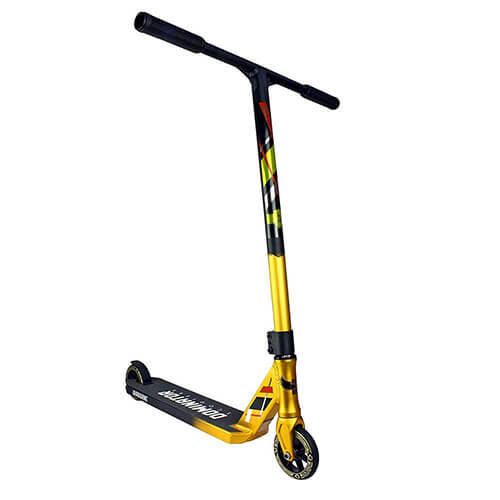 It’s designed to be the perfect trick scooter, with a durable and high quality build using top of the range components. For what you get, it also comes at a very reasonable price. The Dominator Airborne uses a military grade 6061 T6 aluminum alloy deck and steel T-bars. It also uses an aluminum fork, which is quite rare as forks are generally very expensive to manufacture. It also uses aluminum alloy wheels that are 7 spoke for extra strength and measure a diameter of 110mm. This give you a good balance of speed and strength. Despite a small complaint about the weight, this is a great trick scooter. It’s ideal for experts and will likely last a very long time due to the highly durable components are fantasti build quality. It also comes in a range of colors and styles. 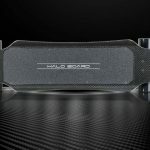 Since 2002 Madd Gear have been designing and building an array of action sports products and has been one of the best pro scooter brands around. 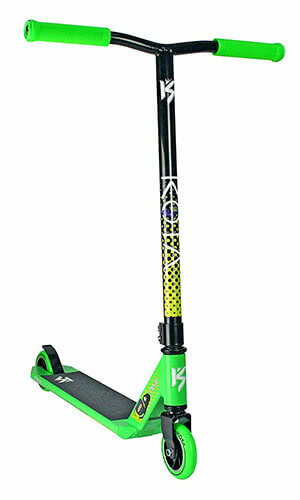 They have professional athletes in the X-Games and Nitro Circus and have used their experience to offer a large range of premium action sport products, including a great range of trick scooters. The VX7 range include 5 different scooters. We’ve chosen the Team model as our favorite and what we would recommend to you. This model has the complete package and ultimate setup for the rider ready to step it up to the next level. It uses lightweight parts across the board on the VX7 Team which gives it a total weight of 8.9 lbs. The Team has a one-piece handlebar, mini HIC, integrated headtube, alloy fork, 110mm alloy core wheels and a blitz brake. 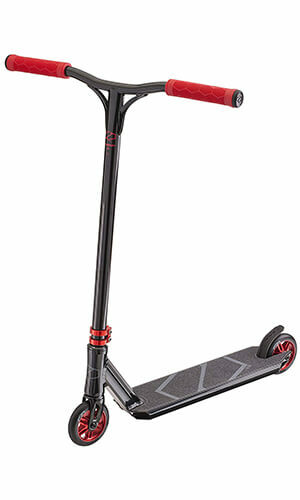 For a scooter at this price point, the Madd Gear VX7 Team is one of the best stunt scooters on the market. You’re getting great value for money, a solid build quality and a nice range of products and styles to meet your exact needs. Riding any type of scooter, whether it be a normal scooter, electric scooter or a pro scooter always carries some risk, so it’s important to think about safety. Especially for your children. When tricks, jumps and grinds are brought into the mix a fall and a scrape are almost inevitable. Safety gear is there to protect those vital points when a fall happens and could potentially save your, or your child’s, life. We highly recommend purchasing at least a helmet and have given you some example of what’s on offer below. Well we hope this has given you a better idea of what to expect from some of the best pro scooters out there today. If you need to know more, think we’ve missed something or want to ask us some questions then comment below or connect with us on Facebook.